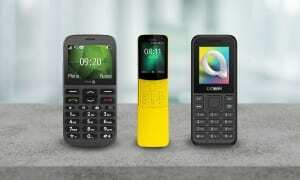 How To Buy The Best Mobile Phone - Which? Which Apple iPhone should I buy? Which Samsung Galaxy mobile phone should I buy? 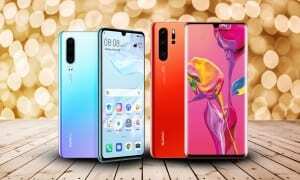 Which Huawei or Honor mobile phone should I buy? Which BlackBerry mobile phone should I buy? Apple or Android? Cheap or premium? Find out how to buy the right mobile phone, how to get the best deal, and which brands are most reliable. A great mobile phone will take the place of your camera, keep you informed and entertained on the move and still leave you with enough battery when you get home. But it's not easy to find a model that can succeed on all counts. With prices rising and more models than ever to choose from, we can help you make sure you spend your money wisely, on a phone that will last. Read our in-depth guide for advice on the right operating system, brand and what additional features you should look for. Or head straight to the best mobile phones from our tough lab tests. 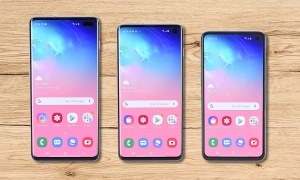 What size of phone should I buy? Do I need a brand new phone? Where can I find the best mobile phone deals? Do I need a waterproof phone? Which mobile phone brand is most reliable? What mobile phone brand is best? How much do I need to spend on a mobile phone? You can spend anything from around £15 to a staggering £1,000 on a smartphone. If you want a premium top-of-the-range phone from the likes of Apple or Samsung, expect a dent of at least £700 in your bank account. Models in this range typically come with a large, extremely detailed and vibrant screen. Plus, they’ll have all the latest features – which can include anything from a fingerprint reader and heart-rate monitor to fast charging and waterproofing. For around £300 mark, you’ll find phones with a good screen, long battery life and a decent camera. That said, they may not have all the bells and whistles – and they’re more likely to have a plastic finish rather than the sleek metal casing found on pricier models. Looking for a phone that can simply manage everyday tasks? You might be able to get away with spending around £150 - £200. Phones in this price range shouldn’t struggle with web browsing, running Google searches and taking phone calls – but might not be up to the task of running the latest and most demanding games and apps. If you just want the cheapest option possible, we recommend you spend at least £100 to avoid ending up with a complete dud. All this said, there’s no hard-and-fast link between price and quality. We’ve found a few Best Buys that cost around £300 and less – and some expensive handsets unfortunately offer disappointing quality. Check out our mobile phone reviews to get the best value for your money. Smartphones are getting bigger and bigger, with the latest high-end models measuring between 5.5 and 6 inches or more. While bigger phones are great for watching films and browsing the web, they won’t suit everyone. Some people find them too large and awkward to hold, and would prefer a model they can comfortably use with one hand. The best way to find out which handset size is right for you is to try holding a few in a shop. If you do want something that will slip more easily into your pocket or bag, pick a 4-5-inch phone. Possibly not. One way to get a good discount on a phone is to buy second-hand, or a refurbished model - which is usually a phone that has been used but restored to 'as new' condition, or graded to a certain level of quality. The second hand phone market is a popular one, but you do need to be careful what you buy. Read more in our guide to buying a second-hand or refurbished mobile phone. You'll often find mobile phones reduced in price both Sim-free (when you buy a phone outright and purchase a Sim seperately) and on contract once they've been out for a while. This is particularly the case if a successor to this model of phone has already been released. Usually you'll find the best deals online - stores like Amazon, Currys PC World and John Lewis regularly offer discounts on older handsets, and you might want to check reputable businesses on eBay as well. Unless you're open to buying a second hand or refurbished phone, make sure the model you are purchasing is brand new, ideally in an original, unopened box. You can browse some of the best discounts on new mobile phones in our guide to the best Sim-free mobile phone deals. 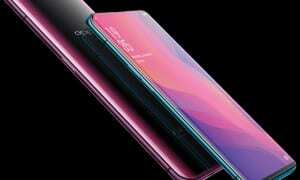 You might be tempted by a water-resistant smartphone if you have nightmares about the time you dropped your phone into the sink, immediately immersed it into a bag of rice, and spent the next 48 hours desperately hoping all would be fine. More and more phones are claiming to be waterproof, but these are typically the pricier models on the market. Bear in mind that some phones claim a higher waterproof level than others. For instance, Apple says the iPhone 8 and 8 Plus can survive submersion into 1 metre of water for up to 30 minutes, while Samsung says that the Galaxy S8, S7 and S7 Edge still work after being plunged in 1.5 metres of water for the same amount of time. Interestingly, we're seeing some more mid-range phones with waterproofing. The Samsung Galaxy A3 (2017) and A5 (2017) both have IP68 ratings, making them as water resistant as the more expensive S-series line-up. This rating also makes them more waterproof than the iPhone 8 and 8 Plus - and some pricier phones, like the OnePlus 5T, aren't water-resistant at all. The biggest fault people have with mobile phones is related to battery, with almost one in five reporting issues with phones refusing to charge, or quickly losing charge. We collect reliability data on all the big brand smartphones so you have all the very best advice before you buy. Read our guide to the most reliable smartphone brands for more. While Apple and Samsung are popular brands, they're certainly not the only options to choose from. We've tested models from the biggest brands to those that are starting to make a really lasting impact, such as Huawei. Click on the links below to find out about mobile phones from different brands. Brands are listed in alphabetical order. Find the best mobile phone for you with all of our fully-tested and independent mobile phone reviews.